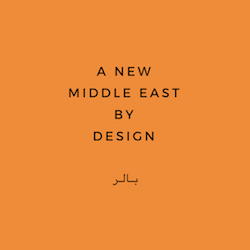 While many people only know the Middle East through one-dimensional news reports foregrounding violence and war, Jabri and Madra hope the simple act of interacting with Middle Eastern design will open up people’s minds to another side of the region. “The Middle East is global,” Jabri insisted. The task, she thinks, is to take back the position of defining the so-called “Middle East” and reinterpret it," - from the lovely write up on our holiday pop-up in Bedford + Bowery.